The buying or leasing process is an exciting time in your life, as you’re preparing to take to the roads in your next car. 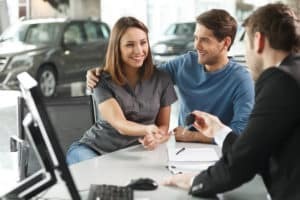 At Ray Catena Land Rover Marlboro, our financial professionals are here to play a small part in the process, helping you secure financing, if necessary, for that next Land Rover. We offer competitive financing rates on all new and pre-owned Land Rover models. If you want to drive the roads of Marlboro, Freehold, and Englishtown in style, sit down with our staff in the finance center today. If you’ve seen a Range Rover, Range Rover Sport, or Discovery on our lot or in our online inventory that you’ve fallen in love with, it’s time to consider how you’ll pay for it. While some drivers do choose to pay for a car in cash, an overwhelming number opt to finance it via a loan or lease. Our goal is to ensure you’re comfortable with the financing options in front of you. We have relationships with numerous banks and lenders throughout the region, allowing us to present an array of financing options. If you’ve considered both a lease and a loan but are unsure which one may be best for your current needs, we’ll be sure to explain the key similarities and differences between the two, guiding you to the right decision. We’ll go over any financial terms you may be unfamiliar with and answer any questions you might have. Our finance application is available online. You can fill this out any time you’d like, even before you visit the dealership. Our staff will be able to start processing the application, which saves time spent at the dealership filling out paperwork. Considering trading in the vehicle you currently drive? Get an estimate for your trade-in by using our online tool. Of course, a final value will be provided here at the dealership. 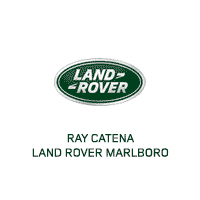 After you’ve checked out our online resources, including our inventory of new and pre-owned Land Rover models, stop by Ray Catena Land Rover Marlboro. We’ve helped many Marlboro, Freehold, and Englishtown drivers experience vehicle ownership, and we look forward to helping you, too. Have questions for us about financing? Don’t hesitate to contact our team today.